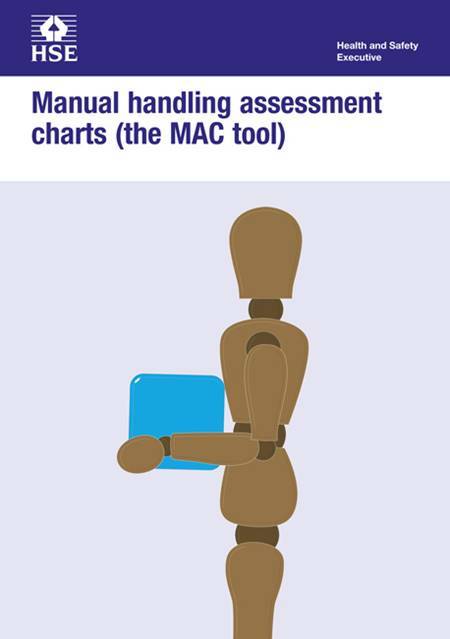 The Manual Handling Assessment Charts (MAC) is a tool to help users identify high-risk workplace manual handling activities. Employers and safety representatives can use the tool to assess the risks posed by lifting, carrying and team manual handling activities. It will help you understand, interpret and categorise the level of risk of the various known risk factors associated with these activities. MAC has a numerical and colour coding score system to highlight high-risk manual handling tasks. This version has been updated, following an extensive period of research, to reflect the latest scientific knowledge and our experience of how the tool is used in the workplace. It includes new illustrations, new team handling categories and weight limits, a more comprehensive score sheet, screening questions to check which assessment you should do, and space to list your control measures. Although there have been some changes to categories and scoring, the main messages about the actions employers and workers should take to prevent risks have altered very little since the previous 2014 version. There is no change in policy or regulation. Note: The printed version of the MAC tool (printed March 2019) is an update of the online PDF published in November 2018. Several changes have been made to the scoresheet, but the main text has not been changed.